Last week, scientists captured an image of a much-sought-after scientific phenomenon. Now the world’s first confirmed black hole has a name reflecting part of its heritage: Powehi. University of Hawaii-Hilo Hawaiian language professor Larry Kimura named the cosmic object. Powehi means “the adorned fathomless dark creation” or “embellished dark source of unending creation.” It comes from the Kumulipo, an 18th century Hawaiian creation chant. Po is “a profound dark source of unending creation.” Wehi, “honored with embellishments,” is one of the chant’s descriptions of po. “To have the privilege of giving a Hawaiian name to the very first scientific confirmation of a black hole is very meaningful to me and my Hawaiian lineage,” Kimura says. Astronomers compiled data from eight radio telescopes around the world to capture an image of the black hole. Two of those telescopes are in Hawaii, so a Hawaiian name was a good fit. “As soon as he said it, I nearly fell off my chair,” says Jessica Dempsey, of the James Clerk Maxwell Telescope on Mauna Kea. I was thinking that it looked like an eclipse too! And this whole thing is just so cool. If it was a portal (I don't think it is) you technically couldn't get to the other universe because you'd get crushed on the way. The image is so weird. That is not at all what I imagined them as. I think a small state like Hawaii deserves something like that. or a one eyed smily face. I am glad that they gave it a Hawaiian name those people need to be herard! That's cool! I was thinking it looked like an eclipse too! same here Jessica Dempsey I nearly fell off my chair too... that's so exiting! I think you got the rong articul. Please stop posting; The article that never got pop!!! https://teen.wng.org/node/4077 on every recent article. thanks! This is so cool!! @Grace I love Lord of the Rings and I can totally see how that would be the Sauron’s eye. looking at it is like an optical illusion. I'm still studying the theory of relativity but I know that this is more proof of it. Let me know when scientists send a probe through one to see if time travel is possible. 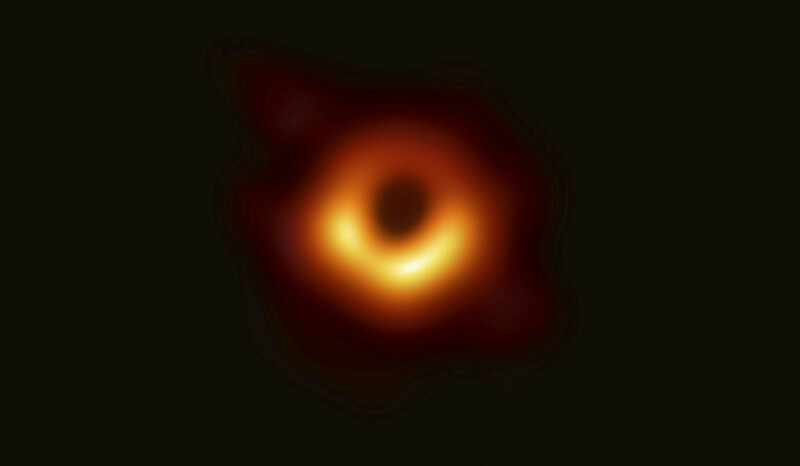 Is it weird that I'm like the only who thought that's what a black hole looked like? @Nadia A IT IS LIKE AN OPTICLE ALLUSION! They will never send a probe through a black hole because the black hole would crush it. And my dad says it's impossible to travel as fast as the speed of light, so although Einstein's theory of relativity may be correct, it is not possible to actually time travel. Wow the picture is actually pretty close to what I've always imagined! Okay so random question but I noticed that a lot of people posted pretty late. What is your bedtime? Mine is still 8:30 and I am ten and a half! I have the same bedtime as my 5 year old sister and 11 almost 12 year old sister. ( I have no other siblings). 10:30 or 11:00 sometimes I stay up a lot later though, like last night I was up till 1:00. I usually wake up at 8:30 or 9:00. I post late not because i am sleeping!! it's because i am not aloud to go on the computer before I do my daily chores and am ready for the day and have my school stuff out at the table. and if i post rilly late it's because I have to do all my schoolwork FIRST!! before i can do WorldTenn. Happy resurrection day!!!! Christ is Risen TO DAY!! Alle-luia!!! I usually go to sleep between 9:30 and 11:00, but I normally don't comment on WorldTeen unless I have to take a test or something on the computer and am taking a break.